Big data is all around us, and as more and more is being said on the subject, it seems like some people are significantly behind the times with regards to their adoption of this technology. Which is a shame, because incorporating big data is easily one of the best things that can be done to boost the performance of a project of any scale, and organizations that have adopted these methodologies typically see significant improvements in their operations over a very short period of time. Big data and AI go hand in hand, and those who are aware of the huge potential benefits in that field should already know what to expect from integrating an AI-powered project into their own workflow. Of course, it’s not as easy as setting a few things up and calling it a day, as working with AI properly can actually be quite complicated and requires the assistance of specialists who know their field. But as long as you can provide access to such specialists, you should be able to see some significant improvements in the way your company is able to make decisions for its future on a regular basis. Sometimes those decisions might not even make much sense in the immediate term, but that’s just because the AI can account for factors that are far out into the future and beyond your current control. The way this works can sometimes actually be a bit scary, admittedly. Which brings us to the next point – with the help of big data, and the right kinds of systems for analyzing it, you can figure out if something is about to go bad with your business long before it’s even happened. That’s a huge benefit to the operations of most companies out there, and it’s something that takes relatively little effort to put in place and get started with. After all, the main requirement for you is that you’ll have to gather a lot of business operations data and organize it appropriately. The rest comes down to having the right kinds of systems to analyze that data. Make sure that you can trust your systems. It’s not rare for a small spike in the data set to confuse some less advanced systems and lead them to decisions they really should not be making, and this can sometimes have a huge impact on your business, even if it’s just a one-time incident. Sanitizing your data sets properly and ensuring that they remain consistent over time is one of the most critical factors you’ll want to consider. Leveraging big data in your business is also going to make you more prepared for the future. A huge revolution in how we collect and process data is coming, and it’s not too far away at this point. Those who’re already using the right kind of technology and know what areas are worth following are going to come out on top and benefit much more than their peers – and relying on big data is definitely a factor that’s going to make a huge difference in the very near future. Of course, it will also matter exactly how that data is utilized in the first place, but as long as you’re following appropriate practices, you should be able to see great results. Make sure to join the community as well, as there is no shortage of people out there who are also experimenting with big data in their own projects and companies, and you can gain a lot from exchanging some experience with other entrepreneurs in the field. After all, that’s how we can expect to make the biggest advances, as they will hardly happen through the efforts of one organization alone. 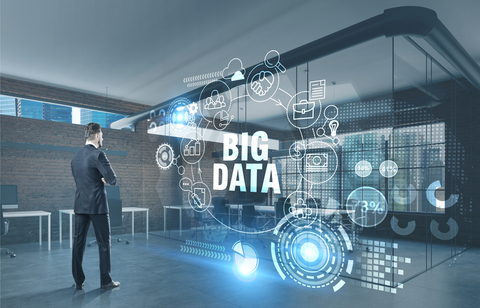 The post 3 Advantages of Incorporating Big Data in LSS Projects appeared first on Shmula. Is Our Company Ready for a Lean Transformation?